When not flexing my camera I’m writing a poem; more often re-writing one… or doing the washing-up or sipping a coffee, listening to cafe conversations. But, back to the poems. 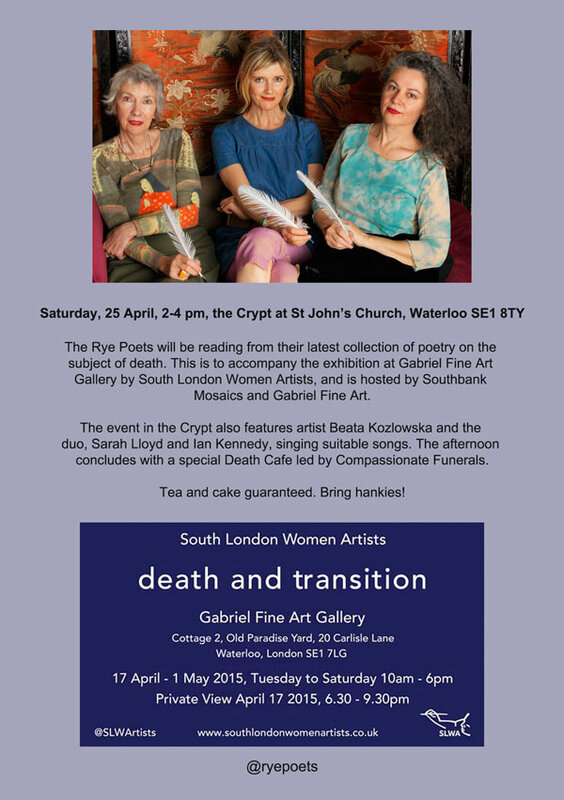 The Rye Poets – Helen Adie, Pia Goddard and me – will be performing poetry at St John’s, Waterloo this Saturday. Our subject is death! This entry was posted in Poetry, Writing and tagged Death, Rye Poets, SLWA Death & Transition exhibition, St John's Waterloo. Bookmark the permalink.